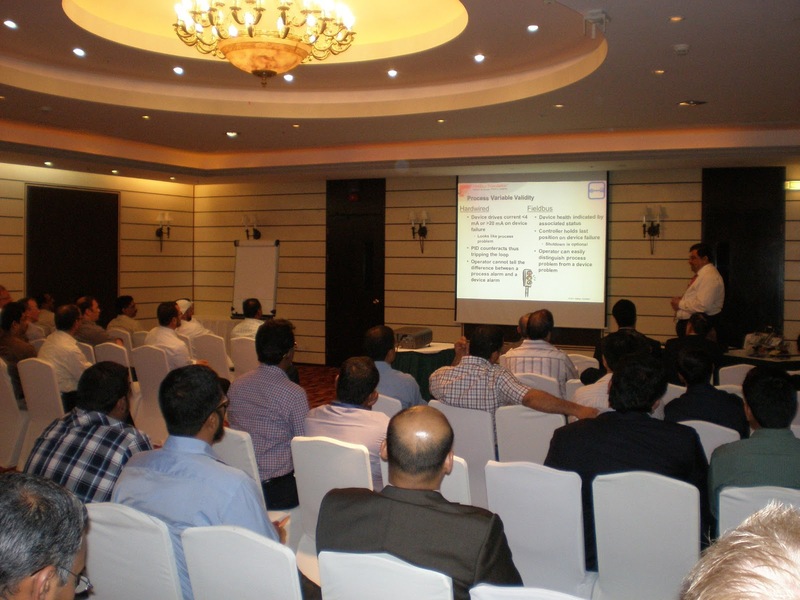 The Fieldbus Foundation Middle East Marketing Committee (FFMEMC) is delighted with the success of its recent FOUNDATIONfieldbus technology roadshows held on 4 June, in Al Khobar, Saudi Arabia, and on 5 June, in Doha, Qatar. 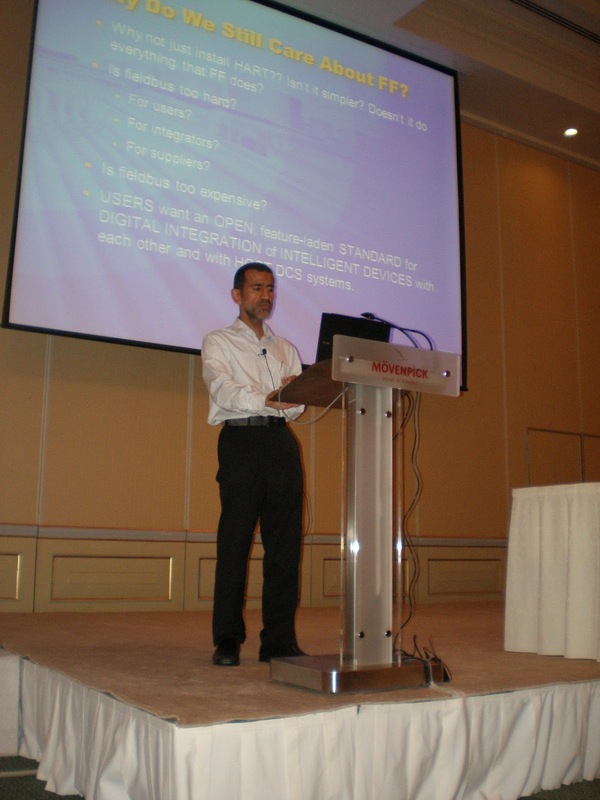 The objective of the 2012/2013 roadshow series was to offer an agenda to meet the needs of a broad spectrum of users – from new potential prospects for FOUNDATION technology as well as supporting the existing FOUNDATIONfieldbus user base from the oil & gas industries in the Middle East region. Over 50 delegates, including end users, designers, engineers, manufacturers, system integrators, EPCs and PMCs, attended the event in Al Khobar, and over 80 participated in the over-subscribed Doha event. The interactive question and answer sessions at each event proved to be valuable and informative with active participation by attendees including end users sharing their FOUNDATION technology experiences with the rest of the audience. Further opportunities for discussion and networking were available during the breaks and the complimentary dinner for all attendees. FFMEMC vice-chairman Mehul Vaiyda thanked members of the FFMEMC, speakers, sponsors, the FFEUC-ME and the ISA sections of Saudi and Qatar for their efforts and active support of the events. 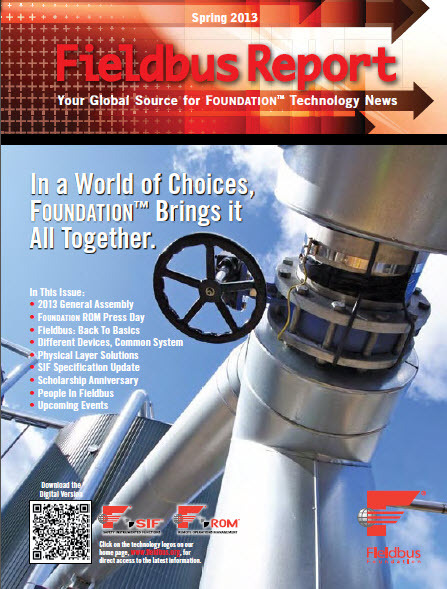 “Once again we have successfully achieved our aim to reach out to current and potential end users with vendor-neutral information about FOUNDATION technology and its role in lifecycle management in today’s plants. We want delegates to understand the benefits that the technology offers but also understand that the maximum benefits of a FOUNDATION project can only be realised if the project team is suitably trained at the outset of the project.” He continued, “We value end user feedback and would like to encourage this through the Fieldbus Foundation end user councils, Fieldbus Foundation social media channels or at end user events”. Sponsors of the 2012/2013 roadshow series include: ABB, Azbil, Emerson Process Management, Endress+Hauser, Honeywell, Metso Automation, MTL, Pepperl+Fuchs, Rockwell Automation, R.Stahl, Samson, Siemens, Turck and Yokogawa. The FFMEMC enjoys a close working relationship with several ISA groups across the region and appreciated the support offered by the ISA Chapters in Saudi and Qatar in their active promotion of the events.